I love experimenting in the kitchen, more with savoury than I do sweet. But, I enjoy eating both equally. Today I decided to put my chefs hat on and create something delicious. 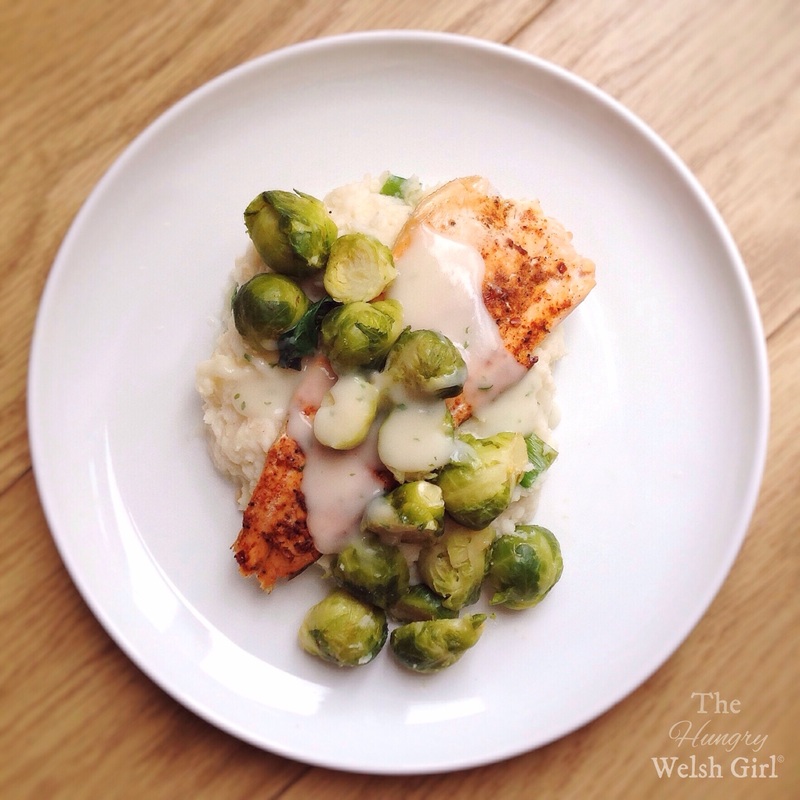 For those of you who read this blog often – if any – then you would remember a similar dish I created a couple of months ago with salmon; this dish is pretty similar, but I thought a lot more tastier. Cauliflower mash has become a favourite of mine over the months, it’s easy to make, delicious and because it’s low carb, it adds a lot of volume to your meals. I love it and depending on how you make it, you could be fooled into thinking that is in fact potato. Add all vegetables, minus the spring onion to a saucepan and bring to the boil; cook until they are soft. Drain the vegetables and blend them into a purée; add in the horseradish, spring onion, salt and butter and combine well with a spoon. As you can see I ate mine with a drizzle of parsley sauce and some brussel sprouts. For more recipes, reviews and ideas; follow me on Instagram – @Happy.Hungry.Healthy and tag me in any of the recipes you try. Kodiak Cakes: Double Chocolate Chunk Brownies.